When I was young, I used to keep wondering how cave men would have thought when they had absolutely no language to talk to themselves. One of the most important things that we keep doing all day long is talk with our own self inside our mind and it would fascinate me to think how helpless would someone feel if they cannot talk with themselves. I probably then thought cave men were as intelligent as we are today so they should have much to share inside themselves it was only later I realized they were closer to animals hunting and eating all day long. Nevertheless they still had many things around themselves to wonder about and failing to comprehend them was such a helpless feeling. Man being a social animal has varied needs apart from the physical needs there are certain emotional needs and a lot of that depends on how man interacts with others. Contrary in nature every animal has mostly certain physical needs for which it uses understanding with another animal, which it expresses in the form of “Gestures”. Inside community example a fish changing it color to indicate its mate, outside community example monkeys shouting indicates a deer arrival of a lion etc. The primary essence of Gesture is to communicate a piece of information. And it is not necessarily limited to living beings Nature itself communicates various information before a certain event to safeguard life on earth example animals and birds are sensitive towards natural calamities and can pick up its information before it strikes down. A lot in nature depends on the perfect tuning between various life forms and over the time I have realized it necessarily does not need language, no words to explain to self it works on something else you can say that as an instinct? 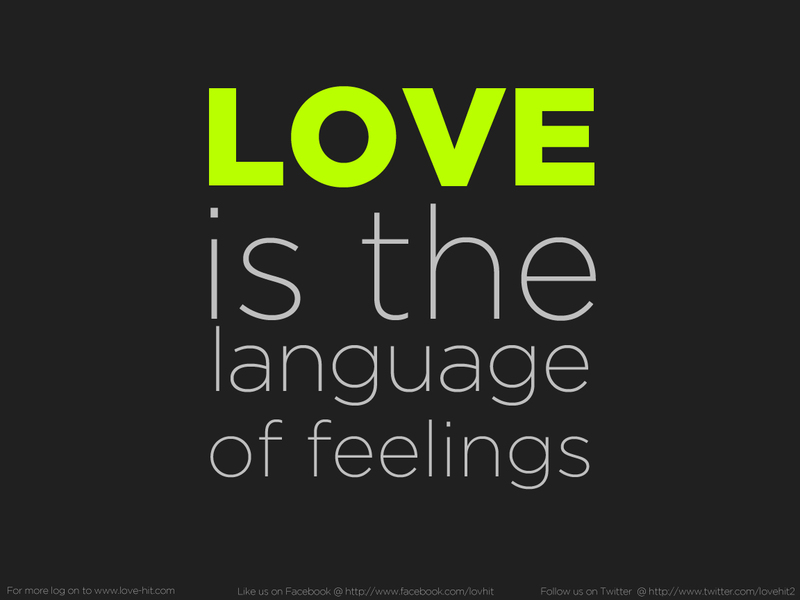 Or perhaps feelings? Or else how would you explain a soldier bee dying for the cause to save bee hive, when it stung a man and the needle bleeds out it dies without any recognition from anybody. But man has evolved a little differently as I said he has more emotional needs to answer. Wonders around him and unsolved nature created his craving for knowledge. For which his 1st need became to communicate with his own self and it was not answerable on a feeling or instinct basis it needed words. So came our inside flight towards sounds and images. Certain sounds and images different from others which communicate to self and others certain facts. Images and sounds however flawed they were (which meant not very close to reality) became essential over the time as self explanatory words. Later words and then a whole language came into being. Crude and rustic it developed an essence of understanding within a singular community and it had now less to do with inter community exchange of information. This meant that over the time human race had grown over feelings and instincts and was mesmerized by the worlds of facts and knowledge. Thus tilting the balance of harmony towards one side. This just doesn’t stop here. 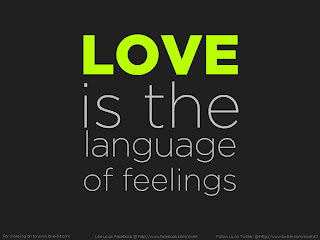 Over centuries man has developed languages over languages trying to express the truth of feeling in words, now in 21st century he has evolved the latest technologies which go beyond language to express and yet fall incomplete in terms of feelings and instincts. Today there are so many ways to communicate and yet there is so little we can communicate. We have so much information to share but so little on our feelings to share. We have evolved as highly intelligent beings we know what is good for us and nature yet we do what is worst for us and nature. We have generations staying together at one place yet we have what we call as “Generation Gap”. Today you have wonderful structure to communicate from lower to higher hierarchy working in companies yet no one works for the company. Today there are courses for personality, mannerism and value addition yet you would hardly find men or women of character and pride. Today you have counselors working for marriages and parenting yet we are struggling with these relations. Such an irony we live in. Man could share for so long but he wasn’t exactly sure of what he is sharing. Truth can never be expressed it is the 1st rule of truth and false has no meaning being expressed because it is flawed. Truth has to be felt internally and thy can never be put to words alone. In fact my idea of a simplest thing (example religion) will have a different feeling for me and will create a completely different image and feeling for you. Thus truth being different for each of us and none being complete. Animals know this, nature knows this and the trick is to keep feelings and instincts on a balance with words and wisdom. It does not matter how many languages you know, how hard or easy it s to talk in that, how wonderfully it is composed, how simple or complex it is. Language or for that matter anything that shares information will come under the umbrella of being a skill for humans as much a skill as cycling, driving , swimming . It does not help us create relations we don’t want to create from within. It will not help us mean what we have never felt. A smooth road (good skill) can help a driver to drive (communicate) smoothly but it is always a skilled driver who can reach his destination even when the road is bumpy. Communication between 2 living beings is often based on internal energy exchange that is made by us while knowing them and judging them these feelings need no words our body is intelligent enough to put that in front as it is, rustically known as “gestures”. It is the reason why sometimes you cannot understand relation between a pet and his master, it is the same reason why sometimes you see two different animals taking care of each other and it is the same reason why a mother can understand her child even before its birth. Thus we come back to the end of circle true feelings and emotions cannot be learnt. I still wonder about the cave men and the bees but here I need both words and instincts to explain to myself. I wish I could put more words but maybe I am skillfully hopeless and grammatically handicapped. i am glad i read this piece.it is amng the finer write ups. the tone and the way the intrinsic idea unfolds is very impressive. but most of all the basic premise is brilliant and reflects a lot of depth, imagination, and the ability to realize this basic truth. I think you can alwways refer to this as a benchmark for your future write ups. I am happy you liked this piece ... looking for your comments in future too. Again, a beautiful and very impressive article shreya..
You can really play with words dear.why dont you think of authoring a book? you have the gift. Make use of it. What about language of silence? Thanks for placing your comment Nirmala :) love to see you here. Always worthwhile to see what you've been reflecting on, Shreya! "The words get in the way" often, indeed; but you are still expressing yourself fluidly with good clarity. When I consider such things, my mind wanders to the examples of very primitive forms of life altering and directing the behavior of much larger, more sophisticated ones... such as the fungus which infects ants and forces them to climb to the highest point possible and lock on, until the fungus grows out of its head, in order to have the widest dispersal of its spores. There is also toxoplasma gondii, which, upon infecting a rat, alters the rat's natural instinct to fear and avoid the scent of cat urine, into a "fatal attraction" toward it, as the parasite's definitive host is the cat. Even a virus such as rabies alters animal behavior to promote infection, creating both a terrible feeling of thirst(which causes animals to seek out water sources where there are more likely to be other animals), and also an urge to bite (which of course spreads the virus).